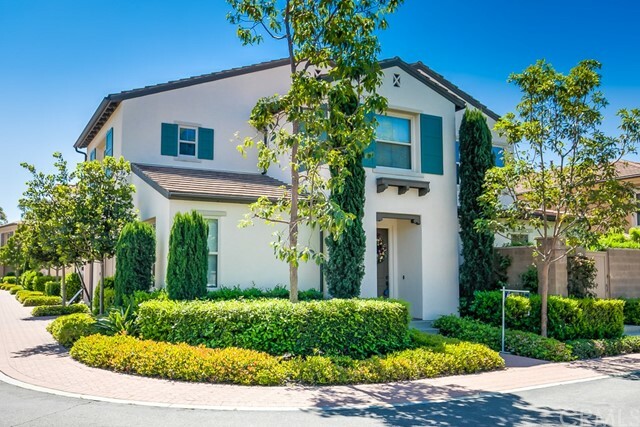 All Stonegate East homes currently listed for sale in Irvine as of 04/19/2019 are shown below. You can change the search criteria at any time by pressing the 'Change Search' button below. "Beautiful end unit 4 bedroom 3 bathroom condo at Stonegate East, 1 bedroom and 1 bathroom downstairs.Listing price includes all furnitures,fridge,washer and dryer. Home features spacious living room, high ceiling, granite countertop in kitchen with full back splash, white cabinets, stainless steel appliances, ceiling fan in all bedrooms, master bedroom suite with separate shower and bath tub, walk in closet, recessed lighting throughout, laundry at upstairs. Nice backyard with patio for your entertainment. This condo close to restaurants, shopping center and schools.Association offers pool,spa,barbue area,playgrounds,etc. Come check it!!!" 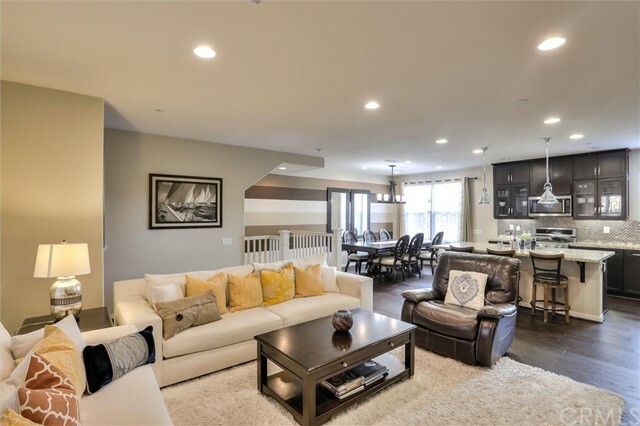 "This absolutely beautiful home is located in the prestigious Stonegate East community and offers a highly sought-after floor plan of four bedrooms (one bedroom is used as Study/ TV room) and three bathrooms, One bedroom and one bath is downstairs. Seller is original owner and she has done lots of upgrades including wall to wall granite counter top with full back splash, great hard wood flooring throughout the house and costume made window covering. This house is located on a premium corner lot with access to plenty of visitor parking along side of home and is conveniently near Woodbury town center. 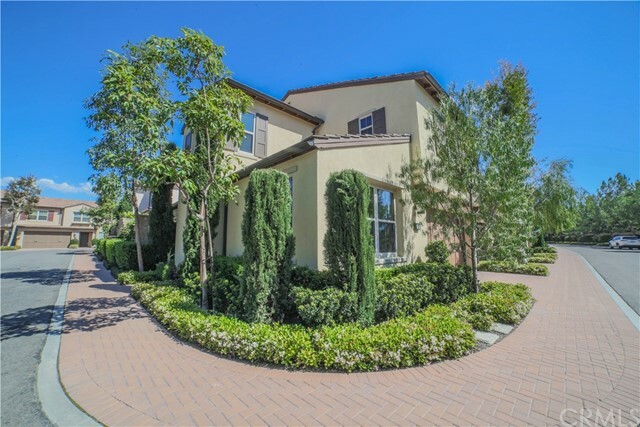 Walking distance to award winning Irvine unified schools. Irvine s resort style living with community Pools and Spas." "Stunning 3 bed 2.5 bath expansive home. This gorgeous home with ton of upgrades is located in the wonderful community of Cariz in Portola Springs! This home is light and bright with an open floor plan. The second level has a spacious kitchen, dining room, office room and family room with a nice size balcony. This home is great for parties as well as great for privacy with a private patio, great for grilling and hanging out. The kitchen boasts of gorgeous brown cabinets to the ceiling, excellent back splash, and upgraded stainless steel appliances. The third level takes you to a spacious master bedroom with beautifully upgraded bathroom and walk-in closet. You will also find two other bedrooms with bathroom with great finishings and a laundry room. This home features exquisite hardwood flooring in main areas along with carpet in bedrooms. Award-winning Irvine Unified School District, zoned for the brand new schools Portola Springs Elementary and Portola High School. 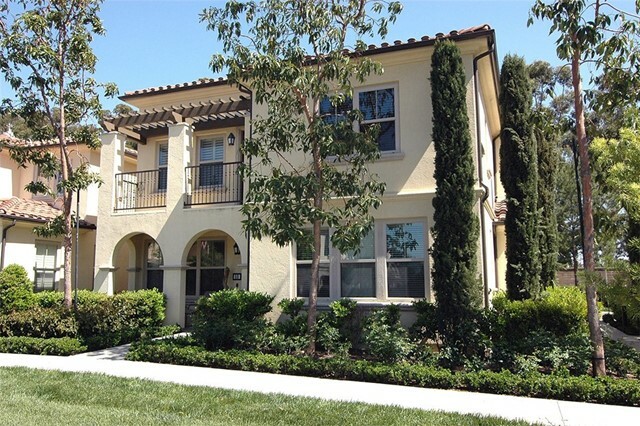 Portola Springs community is ideally situated in OC with resort-like amenities. Countless parks and pools nearby are just what you need to entertain friends and family. Close to schools, shopping, dining, and much more! This is your chance to be the proud owner of this amazing home!" "WELCOME TO THE PRESTIGIOUS STONEGATE COMMUNITY-HOME OF THE RESORT LIFE-STYLE ASSOCIATION AMENITIES: POOL, PARK, SPA, PLAYGROUND, SPORTS COURT...CAPTIVATING CURB APPEAL WITH COMFORTABLE AND RELAXING COVERED FRONT PORCH OVERLOOKING COMMUNITY TREE-LINED GREENBELT..ORIGINAL OWNER WHO MAINTAINS INTERIOR CLEANER THAN A CITH MUSEUM, EXPANSIVE ENTRANCE TO OPEN SINGLE LEVEL LIVING WITH ABUNDANCE OF NATURAL LIGHT, BEAUTIFUL WOOD FLOORING, KITCHEN DESIGNED AND EQUIPPED TO SATISFY NEEDS OF HOME STYLE COOKING WITH SIT-UP COUNTER SPACE, GRANITE, WHITE EURO-CABINETS, WHIRLPOOL STAINLESS APPLIANCE PACKAGE, REFRIGERATOR, 5 BURNER RANGE, AND PANTRY ALL ILLUIMATED WITH RECESSED LIGHTING, NICE SIZE DINING AND FAMILY ROOM COMBINATION, CROWN MOLDING, SECOND BEDROOM IS CURRENTLY AN OFFICE OR DEN (SIMPLE CONVERSION TO ENCLOSED SECOND BEDROOM), LOVELY MASTER SUITE WITH ALLURING MASTER BATH, TWIN WARDROBE CLOSETS, CONVENIENT INSIDE LAUNDRY (WASHER/DRYER INCLUDED), DIRECT ACCESS ONE-CAR GARAGE WITH ADJACENT CARPORT, PLENTY OF GUEST STREET PARKING, CLOSE TO WOODBURY TOWN CENTER, SHOPPING, WORLD CLASS RESTAURANTS, SPECTRUM, 20 MINUTES TO JOHN WAYNE AIRPORT, FREEWAY/TOLL-ROADS...AWARD WINNING IRVINE SCHOOL DISTRICT"